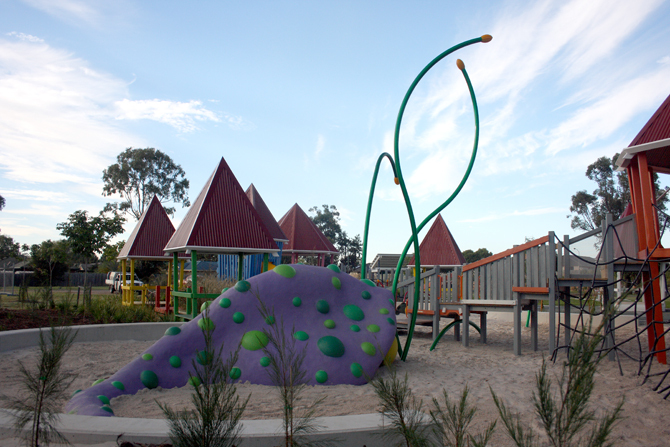 Hidden World frequently receives high praise from parents as being one of Brisbane’s best playgrounds. 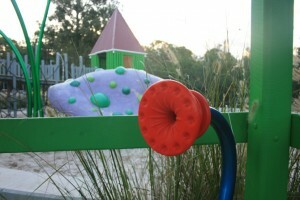 You can read reviews at Brisbane Kids, Must Do Brisbane and Weekend Notes. A group of year 9 students on an excursion to the waste management facility discovered a sink hole, beside which were the rotting remains of a giant creature, like none had seen before. Waste station workers discovered corpses of rotting unidentifiable creature. Pictures were taken. The site and the area was cordoned off. The University of QLD and CSIRO sent a team to investigate the sinkholes, and the plausibility of uncataloged animals. a system of underground tunnels, leading to a large subterranean cavern was found. Shut off for millennia, a fully self-contained eco-system had evolved with entirely new orders of fauna and flora. The large creatures described in earlier accounts were found in abudance. After further observation, their apparent death on leaving the cave system was found to be due to a lack of breathable atmosphere. The flora and fauna had evolved to breathe methane. Subsequent expeditions were mounted to fully map and catalogue the cave system and its inhabitants. The creatures had been living underground for millennia. The siting of a waste station over the cavern had leached contaminants which created tetrogenic mutations, increasing their proportions from insect-sized to elephant-sized. Tools, writing, art, and architecture of an extinct society of sentient marsupial mice were also found. No clear correlation between their extinction and the forced evolution of the larger creatures has been found. The area was capped off permanently to preserve the hidden world for future generations. A play area based on the hidden world discoveries is built on the site, to showcase what was found including life-size representations of some of the creatures, primarily the original discovery (sand worm).